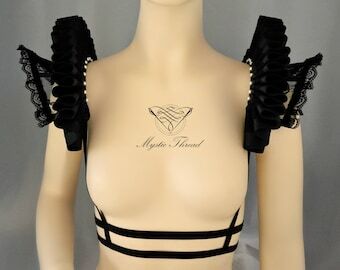 Black choker/shoulder pads decorated with spikes and removable black chains . The shoulder pads are made with black fine quality elastic fabric (crepe), reinforced with spiral steel boning. Is decorated with silver acrylic sewn spikes. 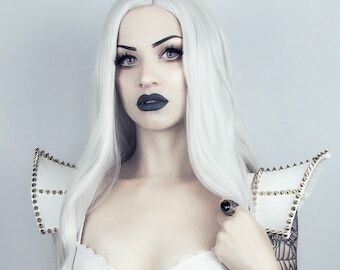 The shoulder pads are joined together with a black choker decorated with silver acrylic sewn spikes also and it fastens with chain and clasp. 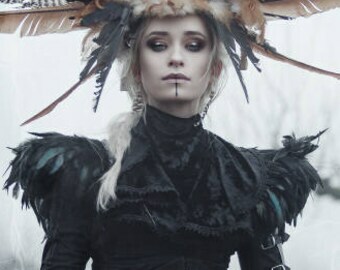 The black chains at the sides are removable. The shoulder pads are fasten with satin ribbon under your armpit and you can tighten them as much as you want. ♥"Really great product and great seller - worth the wait!" 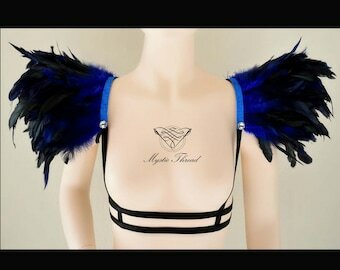 WOW - this accessory couldn’t have been more perfect for Burning Man. The design and fabric were very light which allowed me to wear it all day! Really great product and great seller - worth the wait!